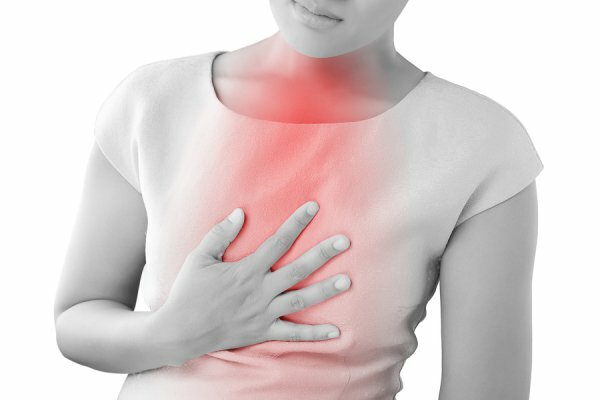 Gastroesophageal reflux disease, or GERD, is a common digestive disorder that can cause heartburn, lead to persistent dry cough, and trigger symptoms of asthma. It happens when the lower muscles in your esophagus don’t fully close as usual, allowing your stomach’s contents to move back into the esophagus. When this happens, the stomach acids can cause your vocal cords to become severely irritated. GERD can also trigger vocal cord dysfunction, a condition characterized by symptoms similar to those of asthma, including coughing, hoarseness, and difficulty inhaling. If you are experiencing any of these symptoms alongside your GERD symptoms, an allergist can diagnose the problem for you. If you think that GERD may be affecting your allergy treatment, talk to the board-certified allergists at Allergy & Asthma Specialists SM . We offer exceptional care for allergies and asthma at our locations in Lansdale, Blue Bell, Jenkintown, Doylestown, Pottstown, Collegeville, Philadelphia, and King of Prussia, Pennsylvania. For an appointment, call 1(800)86-COUGH, option 2.